Are you fed up of a slow internet connection on your Windows 10, 8 or 7 pc and looking for ways to speed up your internet connection, then you are at the right place. 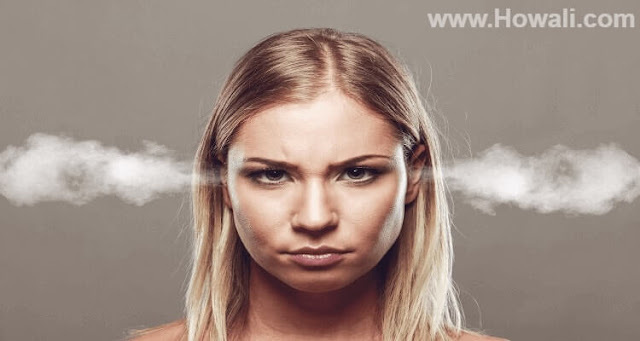 Even I had faced these issues in the past when I was on a slow broadband connection and there was no good Internet Service Provider in my area that provides fastest internet speed. Some people try to clear their internet browsing history but that don't work out for them due to lack of technical knowledge. But now you can speed up your internet connection with this simple guide in the next 10 minutes. Do remember this post will be updated regularly based on latest technological updates as technology never remains same. So don’t forget to subscribe to my email list and bookmark this post for future reference. Today I am going to share with you all such tips which I had used to speed up my internet connection. Test your internet speed and Call your ISP. Troubleshoot your Computer for hardware issues. The first thing I do whenever I face slow speed issues or poor connectivity. I do a speed test on Ookla.com. If I am not getting the speed for which I am paying for then I call my internet service provider (ISP). Sometimes the issue arises from their back end side such as maintenance work they do on their Access Point towers. It gets automatically resolved in 1 or 2 hours. If you are on a slow speed plan, then I would prefer you to change your plan and upgrade for a higher speed plan. Ask for a discount from your ISP otherwise there are several competing companies in the market today to fulfill your need. You can opt for such companies. How to fix temporary profile issue in Windows 10? 2. How to use built in Windows Troubleshooter to fix connection problems? When everything is okay from the ISP, then I troubleshoot the issues with my PC which I have mentioned as follows. This method is common for common for all Windows 10 users and older version of OS with a few tweaks here and there. Click on Start button then click Control Panel, type trouble shooter in the search box and then click on Troubleshooting. Under Network and Internet click Connect to the Internet. 1. Dial up, 2. DSL, 3. Cable. DSL and Cable are faster than the Dial up. If you have a Dial up connection then you can optimize your internet speed by using the fastest modem. If you have dial up connection then make sure that phone line is new and is in good condition and the wires are properly attached. If the wiring is old or deteriorating then it might be picking up stray signals. These problems will slow down your internet speed. Check for wire line for damages or twist near power cables. Reset your modem or router (turn it off for some time and then on it again) . Login to your router and see that if this helps to resolve the speed issue. I used to do this with my computer and some times it solves the problem. You can also check the internet speed of other computer at your home to see they that if they are slow too. If the speed is perfect on other computer, then the problem is with your computer hardware only, not the modem or the router. As soon as you fix the hardware issue with your computer, you can surf the internet with a high speed. But sometimes it won't work just because you are using a Wi-Fi connection. I have shared the method for Wireless users. Keep reading for more details. How to change administrator on Windows 10? How to tell if someone blocked you on Facebook? Most of you like me must be using a Wi-Fi connection to connect their laptop to internet and many of them must be having this problem of slow internet connectivity. It is possible that you may find the router and internet is working fine but your wireless signal is weak. You should also read my article on How to secure your Wi-Fi connection using best Wi-Fi names before moving forward because Wi-Fi thefts are common nowadays and if you have an unsecured connection then this may also be one reason for a slow internet connection. One cause is distance. If you are sitting far away from your wireless router then you might be experiencing this because the modem which you had purchased has a weak signal for longer distances. A good modem with long signal reach will help you in this. To improve your connection speed you have to move closer to the Wi-Fi access point and make sure that there is no physical obstruction between your laptop and the Wi-Fi access point. Use Ad Blockers: Firefox add-on such as Adblock Plus helps block unwanted ads which speeds up your page load time and you also save bandwidth on it. You can try the add-on Fasterfox Lite which will give you enhanced speed options. Remove unwanted add-ons, extensions, plugins: Some add-ons and plugins makes it difficult to perform instant page load and hence you should remove such unwanted add-ons, extensions and plugins to get a faster browsing speed. Try clearing history of your web browser: Sometimes it happens that you keep on using your browser and forget to clear browsing history for long time which creates automatic cache files on your pc and this keep on increasing and slow downs your browse speed, So you should clear web browsing history to optimize your web browser. Close unused tabs: Some pages automatically refresh every few seconds (like news pages, Gmail, Facebook, etc). Close unused tabs on your browser otherwise this will eat up your bandwidth. How to install Mac OS on Windows 10 using VMware? How to fix USB Device not recognized problem in Windows 10? Uninstall unwanted programs: If you have unwanted programs installed on your computer then this will make your connection slower. Close programs you aren’t using or uninstall it. Internet connection requires memory to give the speed for which you are paying for. Do a complete virus and spyware scan: Nowadays there are several viruses and spyware, which uses memory and makes the internet connection slower. So in order to get rid of this you should install an antivirus software and anti spyware. This will make sure that our computer is free of virus and spyware. Check for free space on your computer: If your hard drive is full, then make sure you delete unwanted data from it and take back up of your important data on an external hard disk or pen drive. Your computer uses free hard drive space as virtual memory. If your hard drive is full, then it will make your internet connection slow. Run disk defragmentation: Disk defragmentation improves overall performance of your computer. You should do this every week to make sure that you get good performance. Upgrade your RAM: If you are on low RAM, then I would consider you upgrade memory. Nowadays windows operating system such as Windows 7, Windows 8 and Windows 10 requires a minimum of 2 GB RAM to operate. So you should have at least 4 GB or 8 GB RAM to get good performance. Make a habit to shut down computer: Leave your computer on or on standby mode every day consumes memory and this can slow down your internet speed. So always make a habit to turn off your computer every night. How to disable or turn off Windows Defender in Windows 10, 8 or 7? How to open Facebook full site desktop version on iPhone & Android devices? Do let us know through comments if your internet connection is slow and share with us what steps helps you to boost your internet speed. Don’t forget to subscribe to my email list for more helpful tips. If you like this post then please like our Facebook fan page and share this with your friends from the social network buttons below.